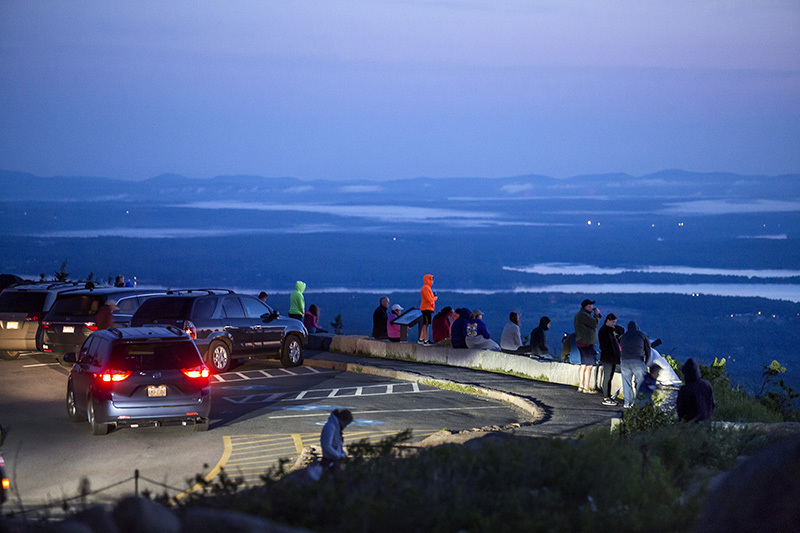 On track to welcome 3.5 million visitors this year, Maine's popular park finds itself at a crossroads: Can it ensure a natural experience under such intense pressure? 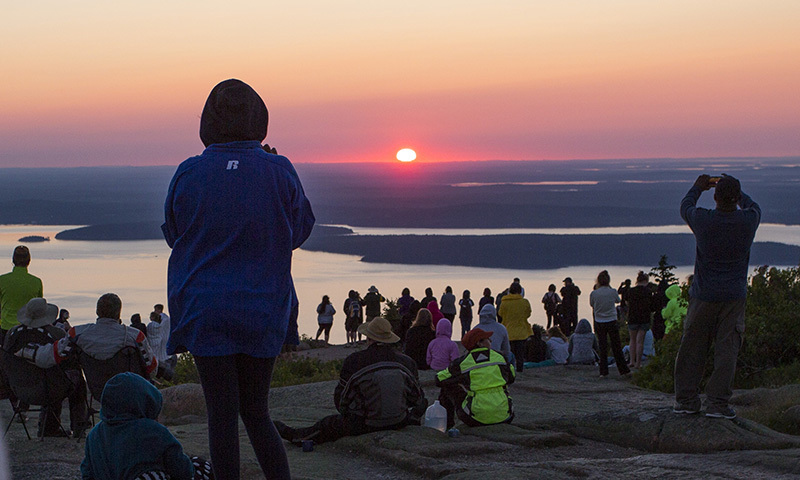 MOUNT DESERT ISLAND — When Becky Friend and Bob Harding drove to the top of Cadillac Mountain to see the sunrise in June, the view of Maine’s coastal islands was perfect. But the traffic at Acadia National Park’s most popular scenic vista was unbearable. 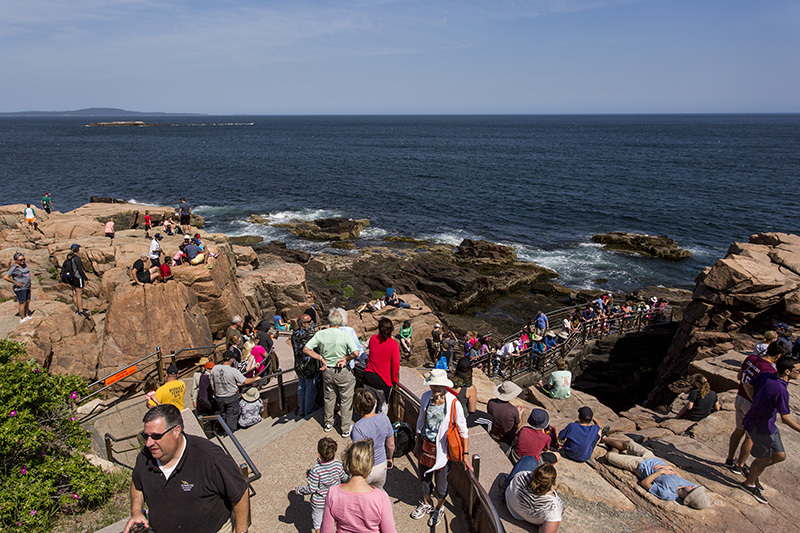 Meanwhile, Irene and Duane Lefever of Lancaster, Pennsylvania, visited Acadia for the 11th time, and said they’ve learned not to visit in the summer. 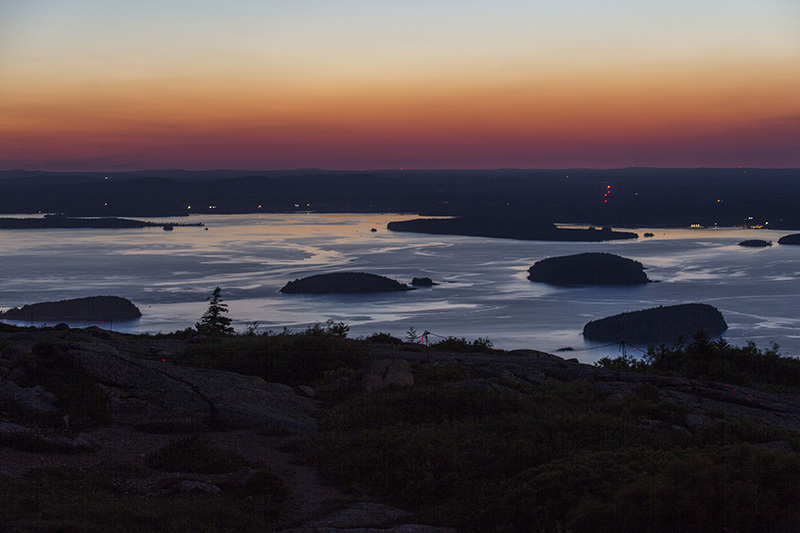 Acadia is one of the most visited of the 59 national parks, consistently outdrawing more famous destinations such as Alaska’s Denali National Park and the Florida Everglades. And the crowds here keep getting bigger. 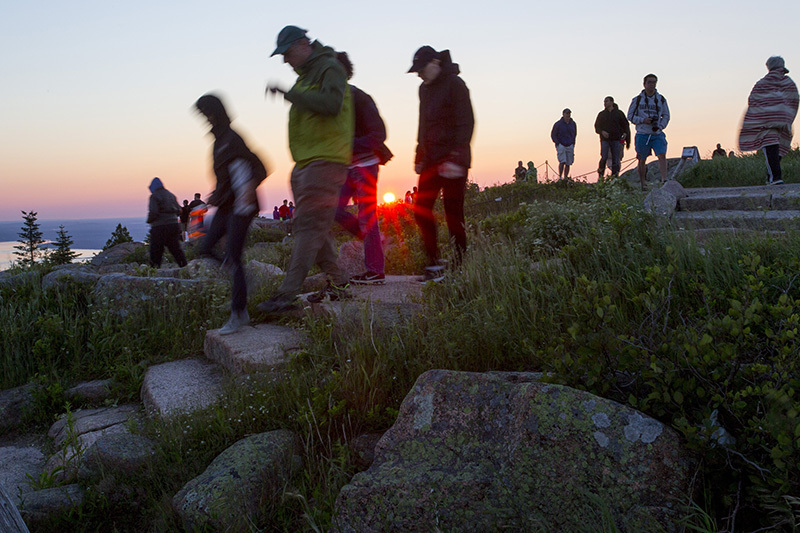 Last year 2.8 million people visited Acadia, about 300,000 more than the year before. 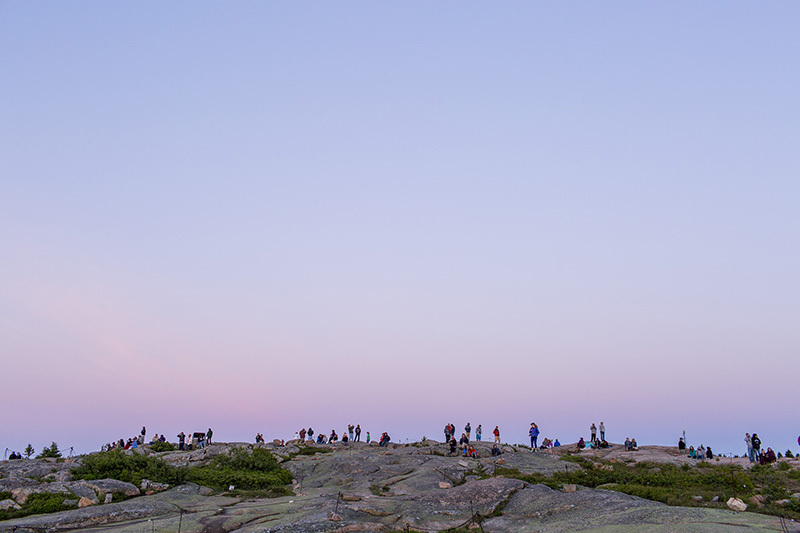 Through May of this year – which is Acadia’s centennial – the number of visitors was up 27 percent over 2015. At that rate, Acadia is on track to see a record 3.5 million people pass through. 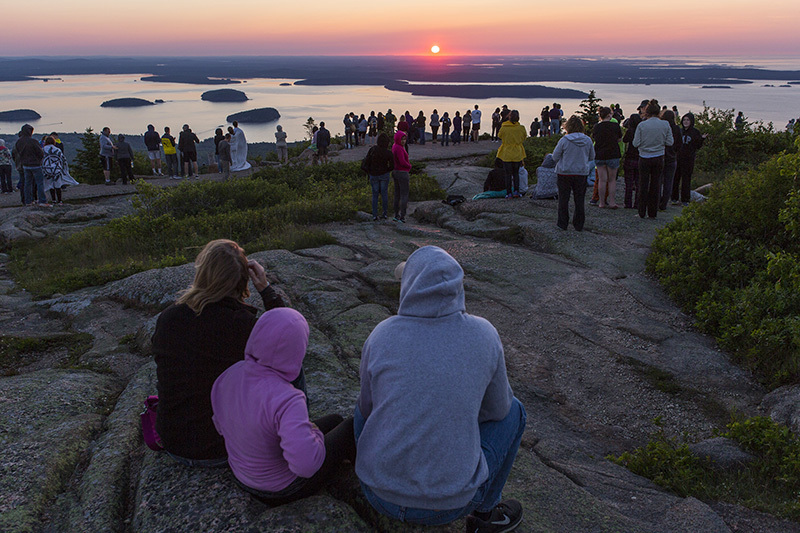 As it celebrates its 100th birthday Friday, Acadia National Park is at a crossroads. The 33,000-acre park with its dramatic seaside cliffs, rolling coastal mountains and rich forestland has offered a peaceful natural respite from busy life since July 8, 1916. 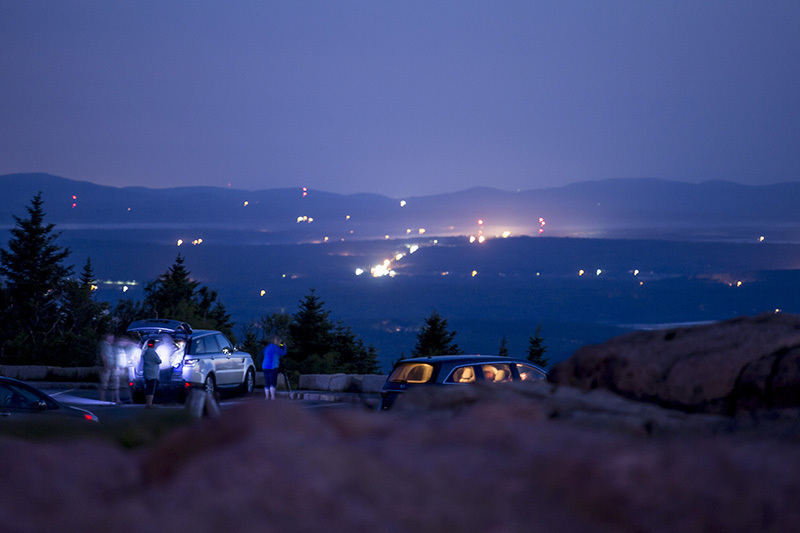 Yet as an ever-increasing number of cars crowd the park from Memorial Day until Labor Day, park officials face a daunting challenge: how to help visitors enjoy the solace and peace of Acadia’s natural beauty free of crowds and car exhaust. Acadia Superintendent Kevin Schneider, who arrived in January, said burgeoning crowds will be the biggest challenge for Acadia in its next century. This challenge is not unique to Acadia, of course. 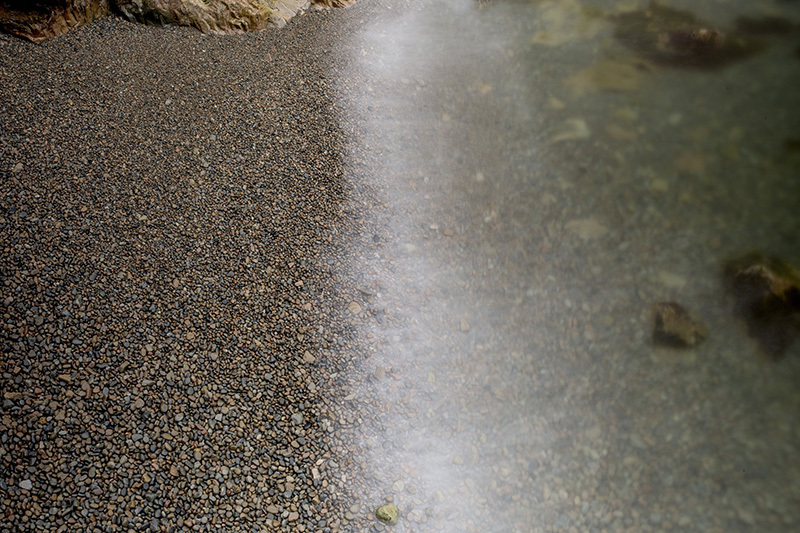 Tourists visiting national parks across the United States have the same complaints. But the ever-expanding crowds threaten to fundamentally alter the experience of visiting the beautiful park with the pink granite shoreline. Some would say they already have. In 1901, summer resident George Dorr spearheaded a conservation effort that resulted in the protection of 5,000 acres by the Hancock County Trustees of Public Reservations. The effort, undertaken to protect the mountainous and coastal region from development, ended up forming the core of Acadia, said author Ronald Epp, who wrote Dorr’s biography. 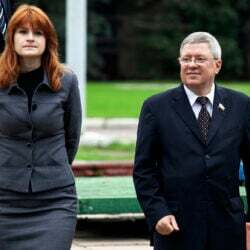 “Creating a national park was not their idea from the beginning,” Epp said. On July 8, 1916, the trustees gave the land to the federal government, and President Woodrow Wilson announced the creation of Sieur de Monts National Monument. 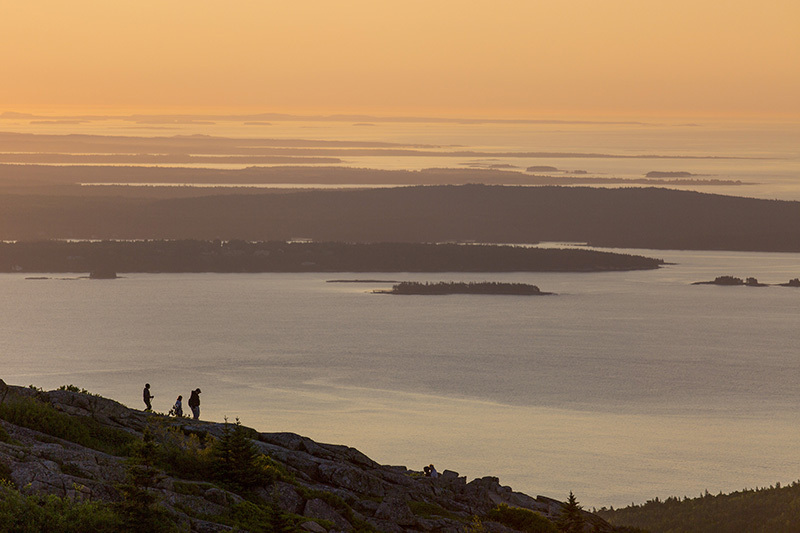 The name was changed to Acadia National Park in 1929, after the nickname given to the region by Italian explorer Giovanni da Verrazzano, who called the Atlantic Coast “Arcadia” after an area of Greece known for its spectacular beauty. 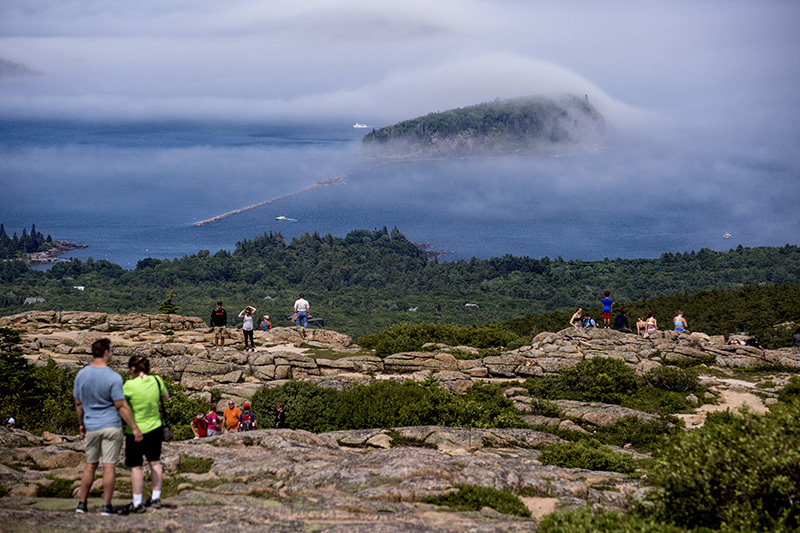 In the years that followed, other locals worked to preserve land around Acadia, most notably John D. Rockefeller Jr., who donated 10,000 acres to the park and funded the creation of the historic carriage roads. All the while, the land parcels purchased and donated to the park were scattered alongside towns, and lacked the neat boundary lines that defined national parks out West. 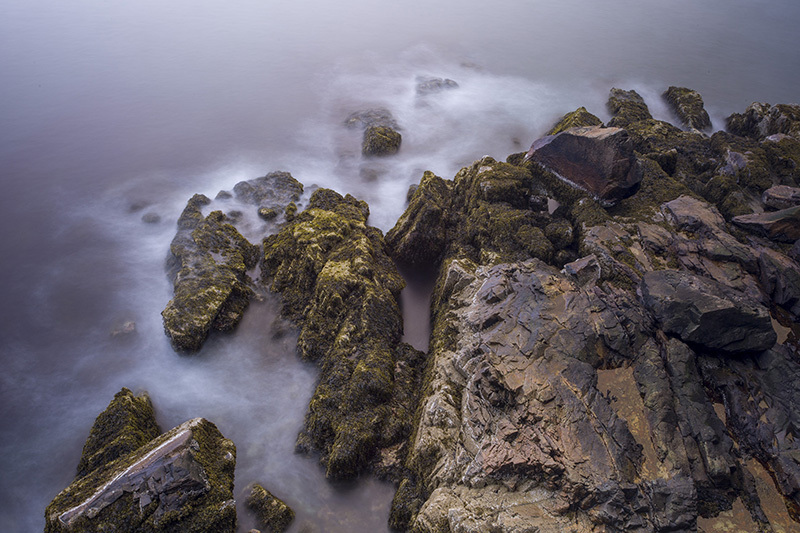 Today Acadia sits beside small fishing villages on Mount Desert Island and the Schoodic Peninsula. The way Acadia is interwoven through these Down East communities makes it the only national park that is physically integrated into the surrounding towns and villages, said Jeffrey Olson, chief spokesman for the National Park Service in Washington, D.C.
For the people who live on Mount Desert Island, the park is part of their neighborhoods. Backyards spill into the park, commutes to work cut through it, and free time is spent after work and school exploring Acadia’s trails and carriage roads. 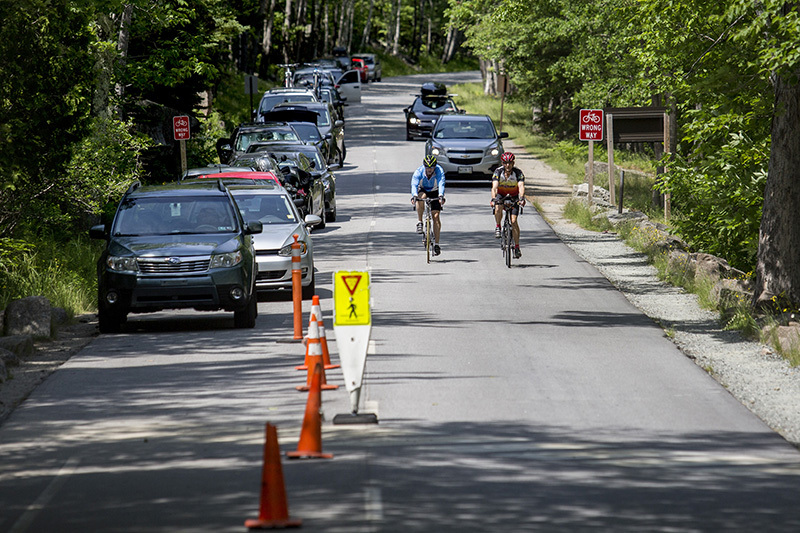 “It’s like a dream to be able to do the work I do and then to have this as my backyard,” said Carol Bult, a scientist at The Jackson Laboratory in Bar Harbor who cycles through Acadia almost daily. Those same locals could help solve Acadia’s traffic problems, Schneider said. In January 2015, park officials began work on a transportation plan. This fall, the park will put out its recommendations for public review in the local communities. Normally, the park service’s “Environmental Impact Statements” are not vetted by local residents, Schneider said. But Acadia is different. 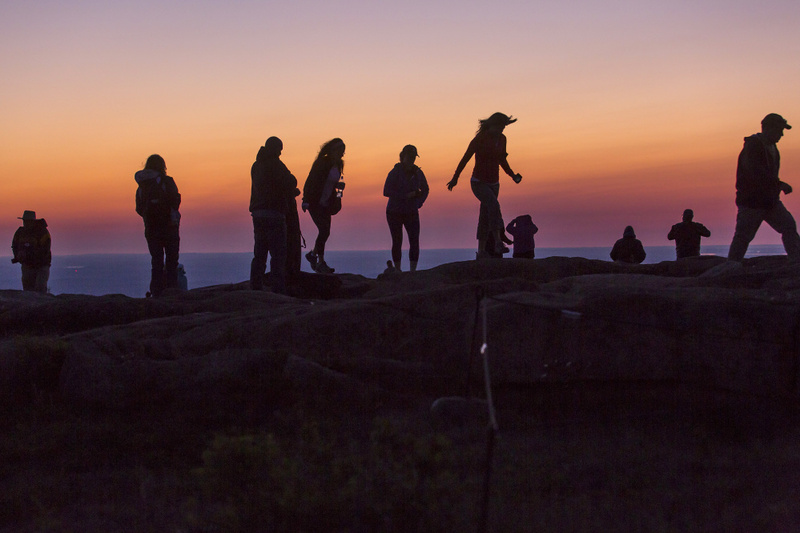 As Bruce McNeil of Kalispell, Montana, stood with his 8-year-old son, Eddie, looking out across Schoodic’s vast granite patio and the ocean beyond, he reflected on how tranquil it was and how unlike other national parks he’s seen. Schneider said this is the goal at Acadia in the next century: to move the foot and automobile traffic in the park away from congested areas. 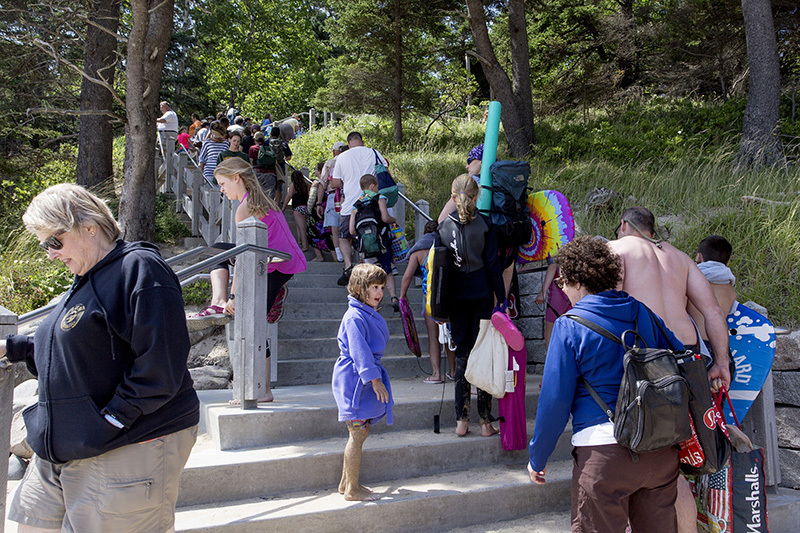 The new Schoodic Woods Campground, with 94 campsites, is one step toward achieving that goal. However, Schneider said, Acadia, because of its unusual design, has unique challenges. 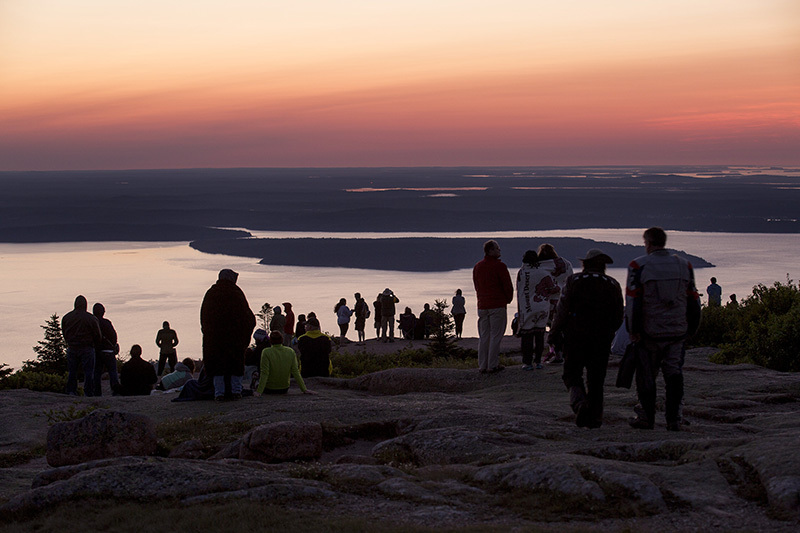 Acadia’s 33,000 acres make it one of the smallest national parks. Glacier Bay in Alaska encompasses 3 million acres. Big Bend National Park in Texas is 800,000 acres. California’s Yosemite is 761,000. 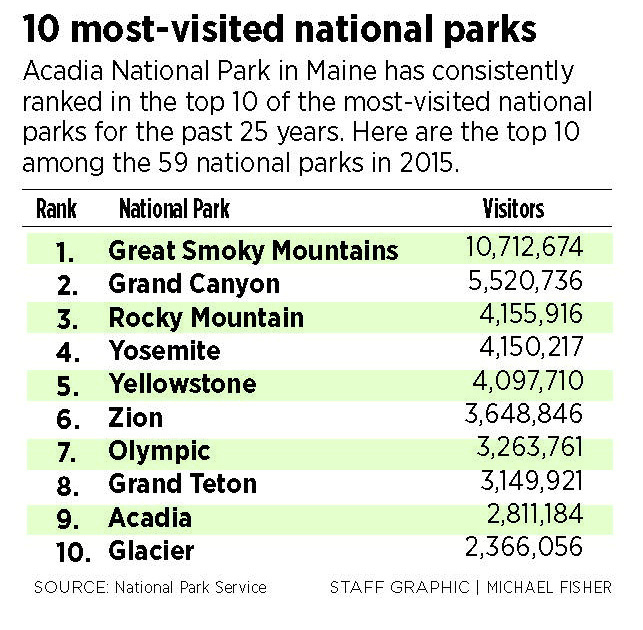 And because of Maine’s colder climate, the busy summer tourist season is much shorter than at parks out West. Finally, because Acadia is interwoven through surrounding communities, it’s difficult to capture gate fees from all visitors. Those range in price from $12 for a weekly individual pass to $50 for an annual vehicle pass. 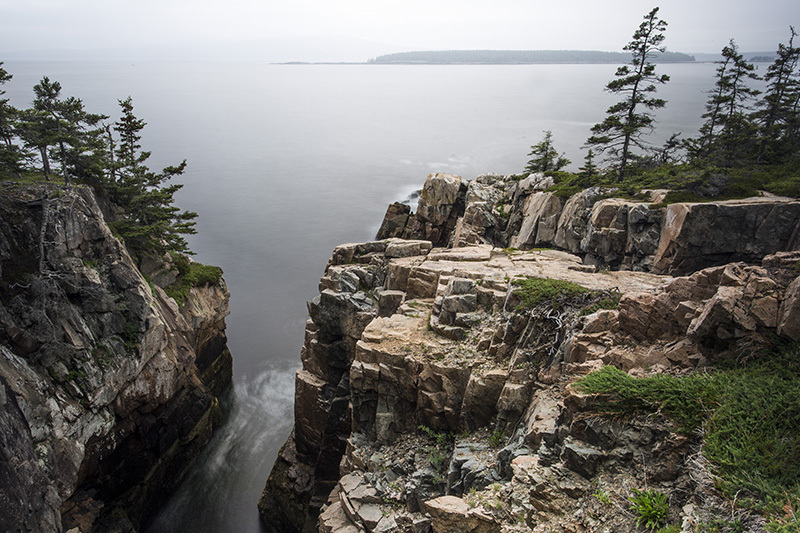 This year Acadia is one of five national parks in a pilot program that allows visitors to buy park passes online. Park officials are also trying to do more to encourage visitors to use the mass transit system on the island, the free Island Explorer buses that run eight routes linking community centers in local villages to destinations in the park. More recommendations should come in the fall, Schneider said, and hopefully local residents will help come up with ideas.